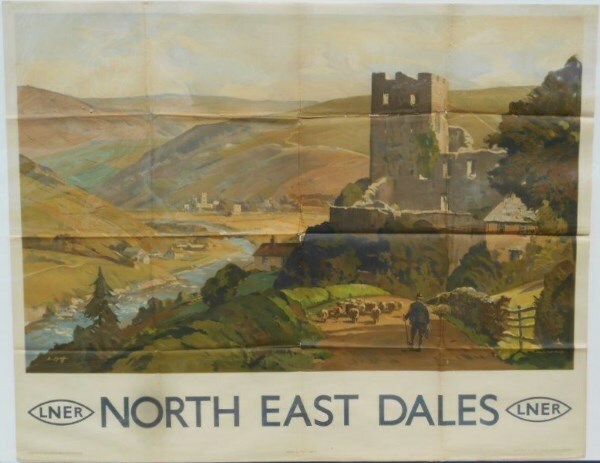 Lot 94 Q/R Poster 1930s, LNER "North East Dales" by Edwin Byatt. A North Yorkshire view. Very good folded condition.